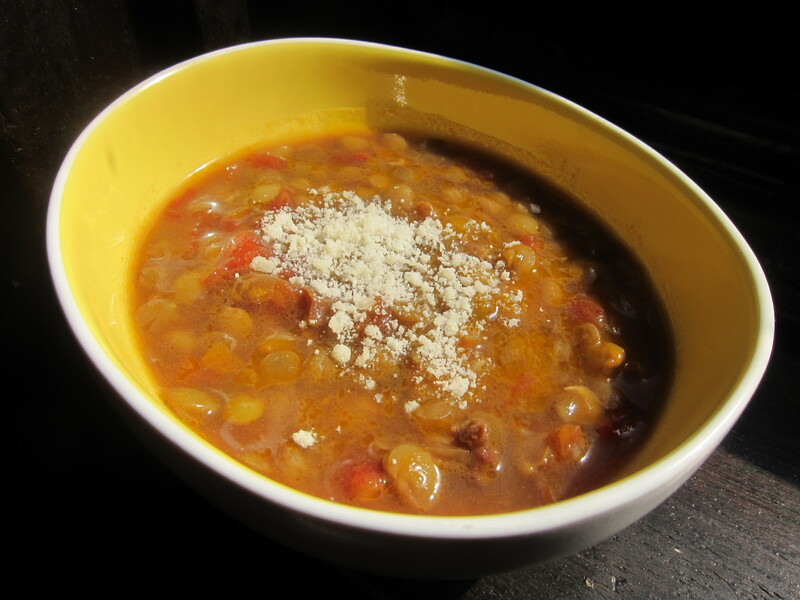 John Searles' Lentil Soup: A Toast to "Help For The Haunted"
Few things make me happier than tasting my friends’ cooking — especially if it’s a situation in which I had absolutely no idea that they knew how to cook. Recently, I had the pleasure of making one such discovery about a dear friend of mine, a person I adore and whom I know mostly as a writer (certainly not a cook) — the novelist John Searles. I made this discovery one chilly evening this spring when John’s partner, Thomas (the chef in that family), wasn’t around. Instead of ordering in, John decided to cook up some soup instead. I remain grateful for this decision as this meant that I got to taste his lentil soup, which turned out to be so hearty and tasty that I distinctly remember the delicious sensation of its earthy goodness warming me up from within. So when fall and all its coolness arrived last week, this soup immediately came to mind. Besides, I had a very special reason to toast John this month — his third novel, a gripping literary thriller titled “Help For The Haunted” just hit book stores! It’s only been out for a week and it’s already gotten rave reviews everywhere — both Amazon and USA Today just named it one of the month’s best books.